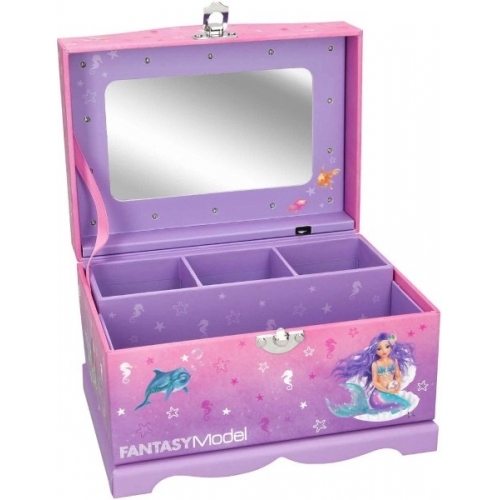 This Fantasy Model Jewellery Box by Depesche is a stylish and functional way to store all your jewellery. 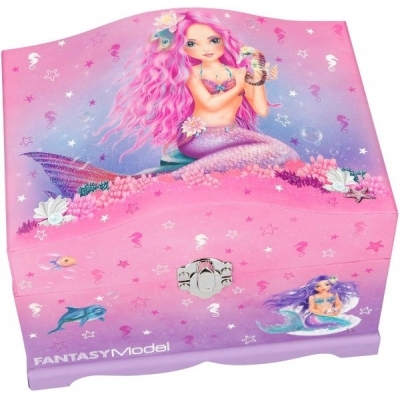 The jewellery box comes in pink colour with glittery sea life creatures all over, and features Fantasy Model Mermaid on the lid. The jewellery box has one large compartment, and one narrow removable tray with 3 small compartments. The lid has a built in mirrow with flashing LEDs around it. 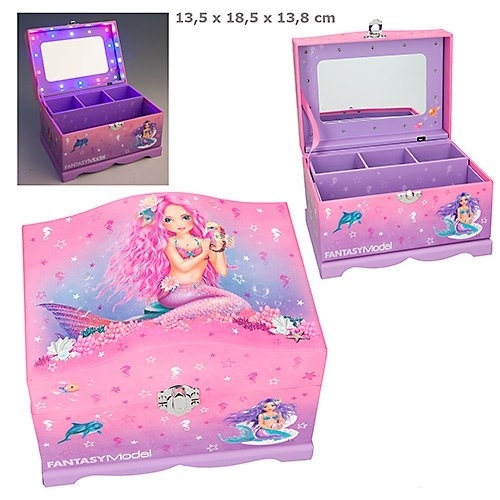 The jewellery box measures approx. 14 x 18 x 14cm and made from strong and sturdy cardboard. 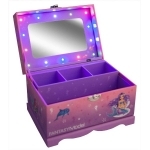 Requires 3 x LR44 batteries (included).